Online theatre news resource BroadwayWorld.com recently published two articles giving praise to a current student, two alumni and an adjunct professor in Belmont’s Theatre and Dance Department for their work in two separate shows. One of the articles reviewed The Nashville Repertory Theatre’s current production of “Noises Off” at the Tennessee Performing Arts Center (TPAC), giving mention to the cast and crew that enabled the production to be a success. Among the names mentioned were those of theatre alumni Morgan Conder Davis and Kyle Odum as well as Belmont adjunct theatre professor Eric Pasto-Crosby. Davis was noted for her acting as the show’s character Brooke Ashton. The article took Davis’s praise even further by calling her “Nashville theatre’s current ‘it’ girl.” Pasto-Crosby was recognized for his acting as the fictional play director within the show’s storyline, Lloyd Dallas. Odum, the production’s sound designer, was praised for his “impressive” work “[making] certain every line is heard.” The show will continue to run in downtown Nashville through November 5. 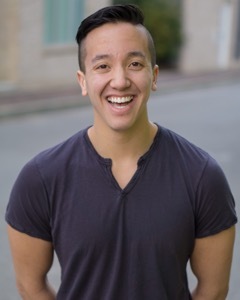 The second article profiled current theatre student Kyle Caress and includes an interview with him about his experiences at Belmont and as a collegiate actor. The article discusses Caress’s role in Belmont’s upcoming production of “Parade” by Alfred Uhry and Jason Robert Brown as well as his participation in Studio Tenn’s recent production of “Evita” at TPAC, where he was an ensemble member. To view Caress’s profile on BroadwayWorld, click here. The write-up on “Noises Off” can be found here.